Vestle is technically a new licensed CFD broker, that opened in July 2018. They are owned and operated by iCFD Limited which was formerly called iForex. Official address is: Corner of Agiou Andreou & Venizelou Streets, Vashiotos Agiou Andreou Building, Second Floor, PO Box 54216 Limassol, Cyprus. Contact phone number is: +357 25 204600, and customer support email is: cs@vestle.com. Official website is: https://www.vestle.com/. Vestle is a popular online CFD broker in Europe, because of their multilingual website, and variety of trading instruments. Investors will find a nice variety of more than 600 underlying assets for CFD trading, in the following classes: Market Indices, Crypto, Commodity, Forex Pairs and Stocks. The trading platform offered to Vestle investors is a very simple and easy to use, proprietary web-based software. Alternatively, you have the ability to download their mobile app for iOS and Android, for trading on your Tablet or Smartphone. You have the option to use their various order types including; “Close at Profit”, “Close at Loss” and “Buy when Rate is”. They offers multiple methods for funding your account including: Credit Card, Bank Transfer and Alternative Payment Methods. The minimum deposit requirement for a new trading account is $250. In accordance with the new ESMA rules, leverage is capped at 30:1 for regular traders. Professional investors can apply to get leverage of 400:1. When the Scam Broker Investigator reviews a new CFD Forex broker, we check to see that they have a license to operate as a broker. All good brokers are licensed, and all unlicensed brokers are a scam. The reason to only invest at a licensed and regulated broker, is so that in the event of the broker going bankrupt, your money is protected. iCFD Limited which owns Vestle, is authorized and regulated by CySEC (the Cyprus Securities and Exchange Commission) with license number: 143/11. 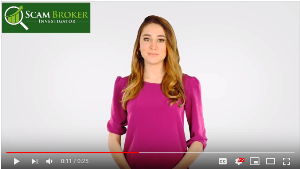 There are so many online brokers now available in 2019, so we have listed below a couple of popular alternatives to try out. Markets.com is an international Forex broker that has a license from ASIC & CySEC, see here. 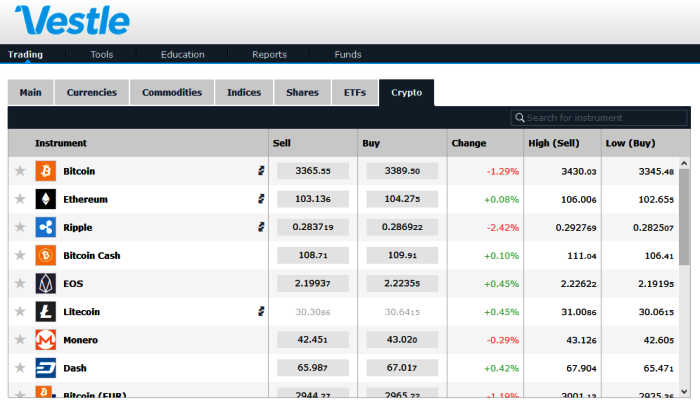 You should try a demo of their nice trading platform, signup here. 24Option is a South African & European licensed broker, offering a trading platform with charts, see here. Try their Free Demo Account, signup here. If you are a client that is already investing with Vestle, please share your experience with other traders, in the comment section below.